but the one you have, and are afraid to use. is the freedom that we were born for. The air is already rushing in to fill you. What is the beauty that you will sing? 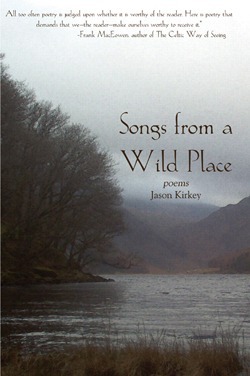 Songs from a Wild Place is Jason Kirkey’s second volume of poetry after Portraits of Beauty. Its motifs range from self-transformation, quiet revelations found in the natural world, love, and the re-imagination of culture and spirit; guiding the reader from the gnosis of personal identity through to the revelation of ‘no-self,’ and back to the world where we become beacons of deep love and transformation. In all cases the poetry in this collection emerges out of a conversation with the world at the edge of individual identity. It is a call to inner revolution, of finding the authentic voice and using it to create transformation in both the human and other-than-human circles. 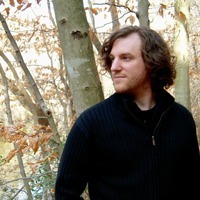 Jason Kirkey is an author, poet, and the founder of Hiraeth Press. He grew up in the Ipswich River-North Atlantic Coast watershed of Massachusetts. With a background in both environmental philosophy and conservation biology, Jason’s work is focused on rewilding the human heart and mind. He has written four volumes of poetry, including Estuaries, and a nonfiction book, The Salmon in the Spring. Jason is currently at work on his second nonfiction book and a novel.